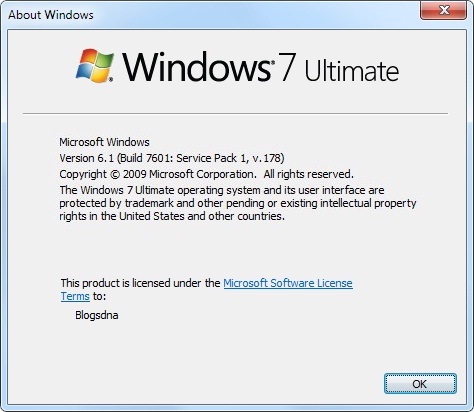 The news of Windows 7 Service pack 1 Beta is available to Microsoft Connect users may not be new but the leakage of Windows 7 SP1 Beta 1 is definitely breaking news for every Windows 7 users. Yes, Windows 7 SP1 Beta 1 has been leaked in wild on file shearing websites. Windows 7 SP1 Build 7601.16562.100603-1800 contains many updates and performance improvements but it may disappoint many users as no new features are added to Widows 7 SP1. Back in may we had reported about Windows 7 SP1 first beta leak, The latest leaked build of Windows 7 SP1 x86 has size of 286 MB whereas the x64 is 536 MB and it may take about 3.3 GB of disk space upon installation. You can get hold of Windows 7 SP1 Beta 1 from Ngohq.com who seems to be the first one to report Windows 7 Sp1 leak. if its ILLEGAL why the hell you are giving out the source to it? you are in a way encouraging it…. so where is the download link? this page title is “Download Windows 7 SP1 ……” but I can’t find the download link in the post..